PLAY THE BEST GOLF OF YOUR LIFE. NOW. What do you get when you combine the top instructors in the game, ones that werehand-selected to represent the Golf Channel Academy, along with Arizona's most state of the art teaching facility? The answer - lower golf scores, more fun, and the daily drive to pursuit excellence. When you visit the top teaching facility, you'd expect nothing less than having the leading technology golf instruction has to offer! The Legacy Performance Center is a facility next to none in size and advanced technology. Our students have access to technologies once only available to the pros, whether it's analyzing your golf swing, making club adjustments or assisting in fitting the best club(s) to your game. The Legacy Golf Resort offers 328 beautifully appointed luxury guest suites housed in 12 separate buildings. Decorated in Spanish mission-style with rich wood cabinetry and earth-toned fabrics, each suite features a full kitchen or kitchenette, spacious living area, and either a balcony or patio overlooking lush tropical courtyards and the golf course. The Legacy is the ideal Phoenix, Arizona resort for small, intimate and personal meetings and retreats. Enjoy professional and detailed planning, one on-site contact, affordable pricing and welcoming meeting space. Find out more about our personalized proposals and current packages and specials. Nestled at the base of South Mountain, the resort is Phoenix's newest golf resort in more than a decade. This all-suite resort features an 18-hole championship golf course (which hosted the 2000 LPGA Standard Register PING Golf Tournament) and an array of recreational activities. The resort's proximity to downtown Phoenix, world-class shopping in Scottsdale, and some of the country's top golf courses make it a perfect retreat destination. Arizona Golf Schools is proud to announce Legacy Golf Resort, our PGA and LPGA staff will personally make sure all your golf instruction needs are taken care of professionally and knowledgeable. 2015 "Phoenix Golf School Vacation of the Year"
Designed by renowned architect Gary Panks, the 6,908-yard, par 71 Legacy Golf Course was the site of the 2000 LPGA Standard Register PING tournament. The native vegetation and horticulture introduced by the Heard family was carefully incorporated into the course and design layout of this extraordinary Phoenix golf course. Make The Legacy Golf Resort your destination for a golf school getaway, family vacation, reunion with a golf school. We are ready to help you create your legacy. 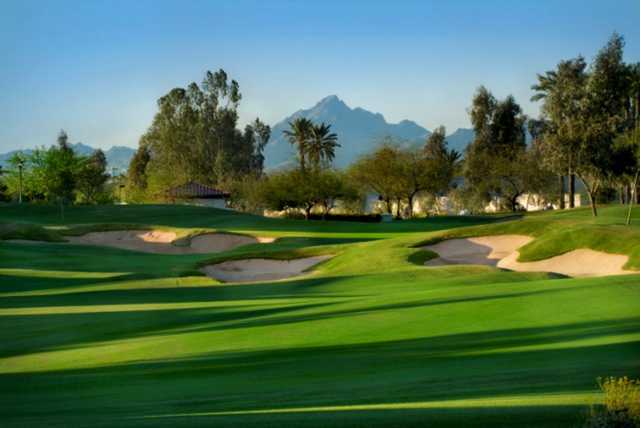 Ideally situated at the base of Phoenix's South Mountain, The Legacy Golf Resort boasts 280 acres as a premier golf destination. 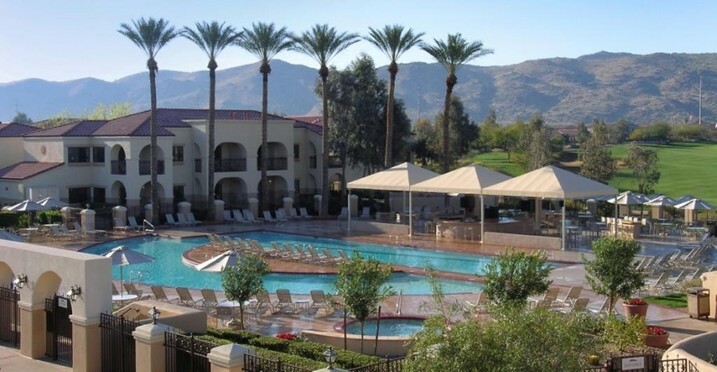 The Spanish-style Phoenix timeshare resort offers 328 suites, comfortably appointed with full kitchens or kitchenettes, spacious living areas, Jacuzzi tubs in some rooms, and stunning views. The Legacy Golf Resort's studio suites combine relaxed charm and modern comfort. Each suite offers 419 square feet of living space with a king bed and sofa bed, two person dinette set, fully equipped kitchenette, refrigerator, dishwasher, and washer & dryer. The studio suite has a partial living room area and a patio or balcony. 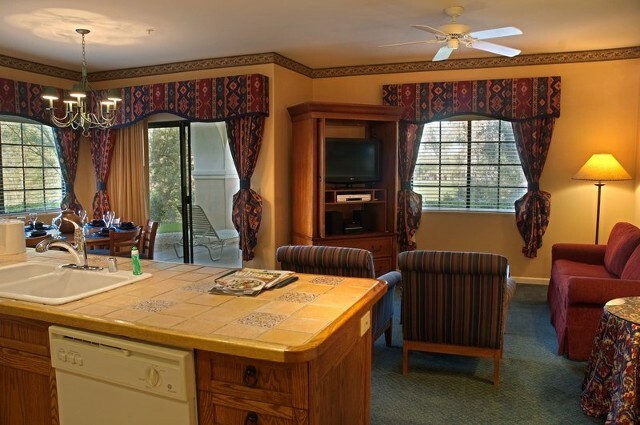 Each suite has individual climate control, dual-line telephone with voice mail, and free high speed wireless internet. All Arizona Golf Schools offers you the ability to improve your game in all facets. All our instructors have extended training, not only on the full swing, but also in our “Performance Zone” program. Important: Be carefully with most other National Golf Schools they only do "Video By Request". What that means is they don't do video on a regular basic. Call for a detailed comparison - 800 756 5052.